Whats up guys. I have been duing a lot of research before I start my Primo-Winny cycle for the summer. I keep running into one question- how nessesary is clomid for this cycle? I understand the gains with primo are pretty easy to keep, is clomid nessesary. If anyone has experience with primo please tell me your experience...gains in LB? Positives/ Negative side effects? Any input is much apprechiated. if you take enough of any steroid to cause unnatural muscle gains then you will shut down your hpta and natural test production. if you plan on making gains with primo then you should plan on getting clomid to help your recovery. You have nothing to lsoe by taking clomid, its only going to help why not jsut take it to be safe? Basically i want to get good results and keep as much as possible. That was one of my reasons for picking the primo. But i understand hairloss is very possible from it, somehting I DRED so I may reconsider the primo with some Eq. But i want to keep as much as possible, so I think i am gonna get my hands on some clomid. Other than the economic advantage, what benefits would the Eq give me over the primo...my main concern is hair and keeping the gains. from my experience, none. primo shots hurt a lot worse though. 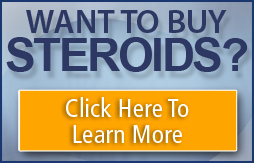 if you're prone to hairloss (it sounds like you are) then any steroid is going to accelerate it. True, I have been doing a lot of research on the Eq, and I am starting to lean more toward that. Between research and experience from friends I understand that doses between 150-200 per week will give me results while staying on the safer side. not too tough at all. eq gains are very keepable. i like it a lot, but would still prefer tren over eq.